HomeOur TeamFAQContact UsVerify The Firestop Inspection Dates & Important Local Fire Prevention Events. The following are links to and quick information on supporting materials requiring 3rd party special inspection in San Diego County for buildings over 75’, healthcare (OSHPD I-IV) and Risk Categories III - IV occupancies. Contact Us to have an IFC “Premier” Certified Firestop Inspector and dedicated multi-certified ICC and California-SFT Fire Prevention Professional come and verify compliance TODAY. 1704A.2 Special inspections and test. “the owner shall employ one or more approved agencies to provide a special inspection on teste during construction on the types of work specified in” section 1705A.17 Fire-resistant penetrations and joints. 1705A.17 Fire-resistant penetrations & joints. “In high-rise buildings or in buildings assigned to Risk Category III or IV, special inspections for through-penetrations, membrane penetration firestops, fire-resistant joint systems and perimeter fire barrier systems shall be in accordance with Section 1705.17.1 Penetrating firestops or 1705.17.2. Fire-resistant joint systems. Policy Intent Notice - 67 (PIN) Fire-Resistant Penetrations and Joints – Special Inspections. “Special Inspections conducted by an approved inspection agency are required for fire-resistant penetrations and joints, and shall be in accordance with the 2016 California Building Code (CBC) Section 1701A.4, ASTM E 2174, and ASTM 2393. Individuals conducting the special inspections shall have OSHPD approved training and certifications. 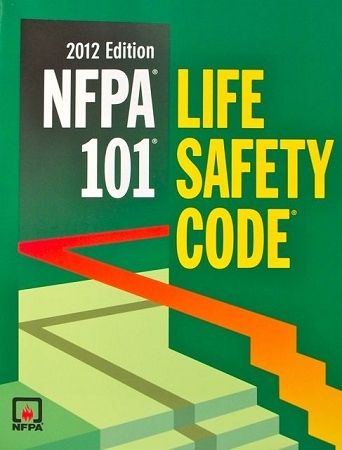 National Fire Protection Association (NFPA) 101 Life Safety Code. Chapter 18 New Healthcare OCCUPANCIES & Chapter 19 existing healthcare OCCUPANCIES. 8.3.5.1* Firestop Systems and Devices Required. 8.3.5.1A ASTM E2174, Standard Practice for On-Site Inspection of Installed Fire Stops, provide guidance for the inspection of through penetration fire stop systems”. 8.3.6.5 Joints made within or between fire resistance-rated assemblies shall be protected with a joint system. 8.3.6.5* On-site inspection of firestopping is important in maintaining the integrity of any vertical or horizontal fire barrier. Two standard practice document were developed with the ASTM process to allow inspection of through penetrations, joint, and perimeter fire barrier systems. ASTM E2393, Standard Practice for On-Site Inspection of Installed Fire Resistive Joint Systems and Perimeter Fire Barriers, provides guidance for the inspection of fire-resistive joint and perimeter fire barrier joint systems […] ASTM E 2393 contains a standardized report format, which would lead to greater consistency for inspection.